Drop your vehicle off for service and get your dry-cleaning done at the same time! Dry-cleaning services three times a week. One-stop convenience spot for you to get ready for that business trip or party you need to get to. 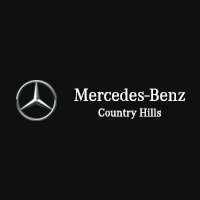 Stop driving around the city to do your errands and get it all done at Mercedes-Benz Country Hills. We want to give you a second-to-none Guest Experience. No matter what your needs are, we will do our absolute best to facilitate them.